Morris, Minn. –Superior Industries Inc., an American-based manufacturer and global supplier of bulk material processing and handling systems, says its presence at Bauma 2019 will be three-times larger than previous editions of the world’s largest trade show. Today, the builder of crushing, screening, washing and conveying equipment unveiled its display plans. Inside Hall B2 at stand 107, Superior plans to showcase its brand new Alliance® Low Water Washer. 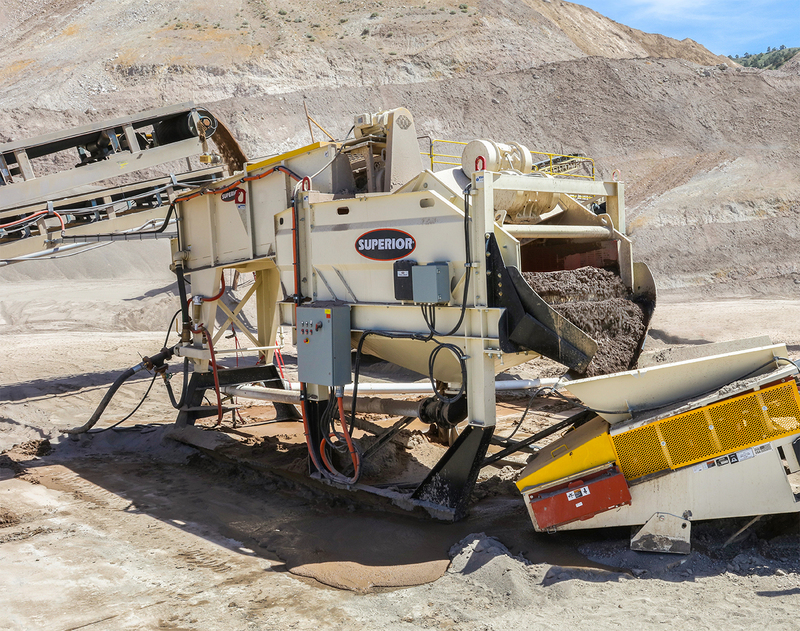 The one-of-a-kind technology allows crushing operators to wash fines within their crushing circuit. It saves from transporting the fines to a separate wash site, which requires costly trucks and harmful re-handling of the material. Chevron® Pulley: Invented at Superior in 2007, this unique v-shaped wing pulley deflects oncoming rocks and other material, which prevents it from trapping between the pulley’s wings. No rocks in your pulleys means longer lasting conveyor belts and pulleys. Moxie® Roll: Made from a composite blend, this steel alternative idler sheds sticky material to maintain properly tracked conveyor belts. The rolls are 50% lighter and at least three times quieter than steel. Exterra® SFL Dual Belt Cleaner: This one-of-a-kind conveyor belt cleaning solution is a primary and secondary scraper sharing one mounting pole. This allows for quick, uncomplicated installation. Tension is set just once – at installation – and automatically maintained for the life of the blade.